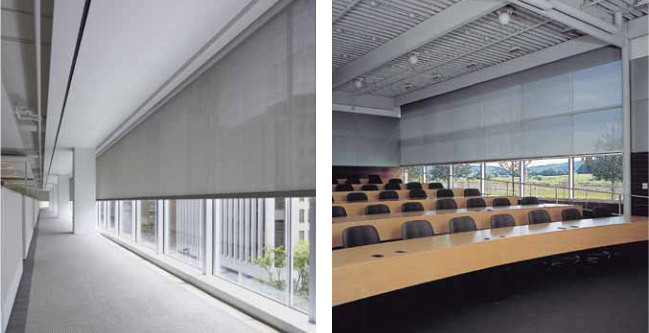 Unlike conventionally wide shades, MagnaShade® maintains a low profile. That’s because its modular design adds rigid support to the shade tube without increasing the diameter. Uninterrupted shading or blackout (for more than 15 ft./5m). Keeps with the design intent of a space. Prefabricated shade cradle and housing cassette. Simplified installation (see cutsheet, right, for details). Modular design provides rigid shade-tube support without widening its girth. Interested in MagnaShade®? The Window Treatment experts at MAREK will be happy to assist you in discovering the best shading options for your office, home, or retail space.